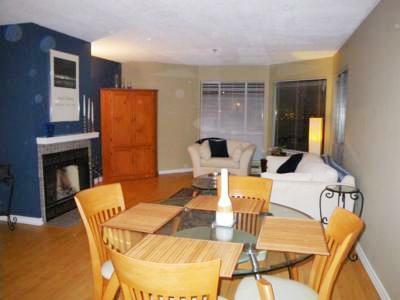 Enjoy this 900 square feet, fully furnished, tastefully-designed 2 bedroom and 1 bathroom townhouse style condo in South False Creek. 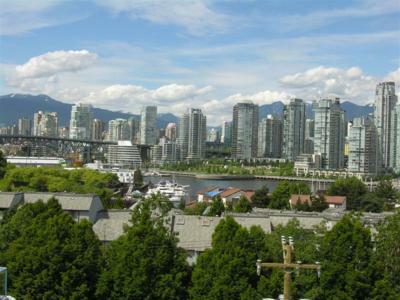 This location is perfect for anyone looking to enjoy Vancouver and all that the downtown area has to offer while staying in a lovely residential neighbourhood, close to the action but able to retreat to tranquility. The condo's million dollar rooftop panoramic view of Vancouver is second to none. You will be just minutes from Granville Island with its markets, restaurants, bars and boat rentals, shopping on West 4th and Granville Street with Chapters, Pottery Barn, Restoration Hardware and Kits Beach. 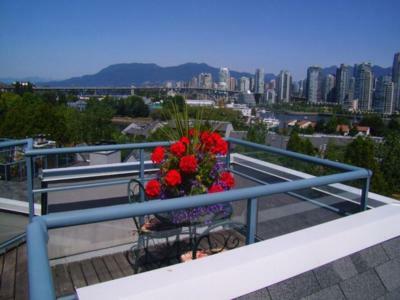 Enjoy panoramic views of the city, water and mountains from the 400 square feet roof top deck. This place is great for entertaining, barbeques or just quiet nights together with friends and good wine.